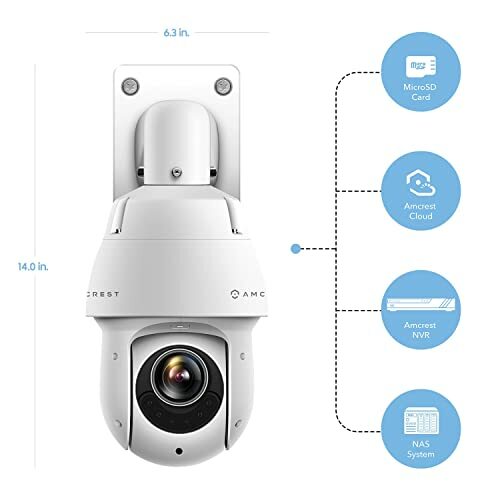 If you are one of these people who are not really sure whether this security camera is great or not, then this Armcrest 1080P Outdoor PTZ POE IP Camera review could be of help to you. This can be a useful tool as well to people who are thinking of buying security cameras anytime soon. Armcrest is a company that mainly believes in the idea of serving the customer needs and wants. According to the company, the focus must be on the customer. And when it happens, everything will follow. This idea has been the center of their values which resulted in the company to be one of the leading brands in the industry of security technologies. Alongside service, the company also value the idea of perfecting products in a very passionate way. In fact, they claim that they spent great amounts of time just to make sure an Armcrest product will satisfy the needs and wants of their consumers. In line with this, the range of their products is quite wide. But while Armcrest does not focus mainly on security cameras alone, they have become one of the well-known brands when it comes to security cameras. 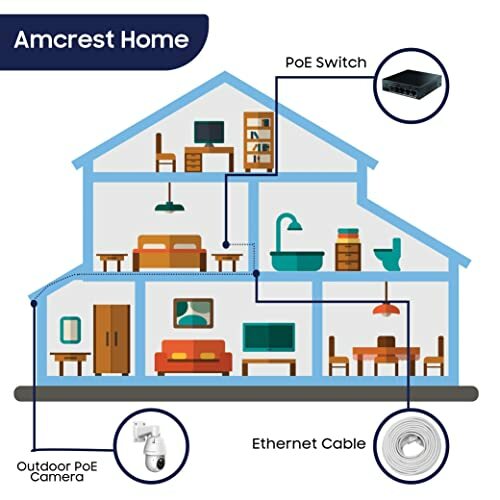 Today, many have considered the security cameras from Armcrest as great assets to the industry of security cameras. And one of the apparent bestsellers is the Armcrest Outdoor PTZ POE IP Camera. There are quite a lot of factors why this camera is continually blooming in the recent times. Aside from the brand that it carries, it also has features that many homeowners and entrepreneurs love. Although many are appealed, there are still a few who are pretty unimpressed. And this actually resulted in dividing views and opinions about the Armcrest Outdoor PTZ POE IP Camera. The Armcrest Outdoor PTZ POE IP Camera is known to be one of the fully featured cameras of today. In this review, all of the features and specifications are included. This will help you know of this security camera is the one that you are looking for. 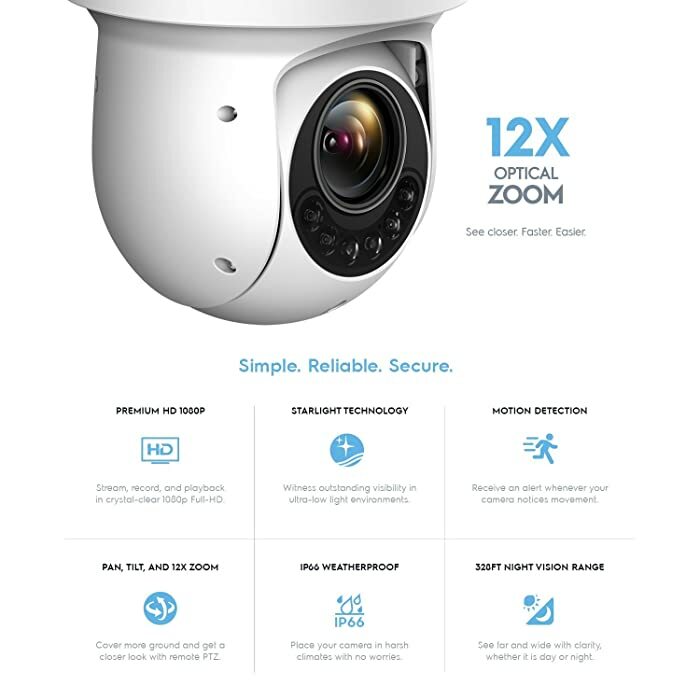 The Armcrest Outdoor PTZ POE IP Camera features a CMOS 2-megapixel Sony STARVIS image sensor. This sensor is significantly the reason why users would see vivid and clear views through the camera. As per actual users, viewers may experience a full 1920x1080p HD footage at a rate of 30 feet per second. Theoretically, this is promising and a real advantage for the camera. With the rate given above, it is seen that it can justify its current fame since users are really satisfied with the quality that it can provide. As for the Pan, Tilt, and Zoom functions, it features a 360-degree continuous pan, -15-degree up to 90 –degree tilt, and x12 optical zoom or x16 digital zoom. Moreover, it is also equipped with a 5.4mm up to 64mm of focal lens. These functions are what most users love about this camera. However, the night vision feature is not that very appealing to most users. Although it can provide up to 328 feet of vision range, it is seen that it’s not quite reliable. Hence, you may need a great light in the area of surveillance. Another factor why the Armcrest Outdoor PTZ POE IP Camera is quite popular nowadays is because of its POE function. Apparently, this camera needs a PoE injector to be used in totality. Also, if you intend to add another set of cameras alongside the Armcrest Outdoor PTZ PoE IP camera, you must have the proper PoE injector. But, you should know that the PoE injector or switch is not included in the package. So, this will be an additional cost since you will need it in order for you to use the said camera. Without it, the camera won’t function according to its standard state. Now, when you have a PoE injector or you were able to provide one for this camera, it must be connected to your router. Accordingly, it is important for you to keep in mind that the distance between the camera and the PoE injector must not exceed 300 feet. If you are thinking that this is an inconvenience on your end, some would think otherwise. This is because having a PoE injector would mean that you will no longer need to do a rigorous setup or installation of the wires and cables. Although it may require you to have one central power source, you can largely utilize the Armcrest Outdoor PTZ POE IP Camera anytime and anywhere. The Armcrest Outdoor PTZ POE IP Camera is quite durable. The materials used in the housing are heavy-duty types of metals. The housing features an IP66 weatherproofing. So, there is no need to worry about rain, dust, and air. As for the overall appearance, the camera is quite sleek and classy. In fact, many business owners are attracted to having this camera due to its style and look. Armcrest has its own dedicated application. So, buying this camera would mean that you will be able to utilize the Armcrest View Pro app on your smartphone or tablet or any gadget that is compatible with the system. Accordingly, this is where the motion detector, alarm, and notification functions will enter the equation. Through the application, users are entitled to receive motion detected images and alarms to notify them about the recorded footages. In addition to these features, users are enabled to record and save footages in the said app. In theory, these are all great features. However, real-life applications of these features may not be as pleasing as it sounds. Many users attest that it is quite difficult to use the application in some smartphone and gadgets. Also, utilizing features from the app can sometimes be an inconvenience to the users. And this is probably the biggest drawback of the camera. In totality, the Amcrest 1080P Outdoor PTZ POE IP Camera is a pretty decent security camera. For a price that falls under $300, it can fully justify its value and worth. But, if you prefer more the cameras that can provide reliable remote functions, this camera may not be your best choice. Nevertheless, it is still considered to be one of the fully-featured and impressive security cameras on the market today.